Organized as a 501(c)(3) not-for-profit corporation. Governed by an elected board of directors. Administered by a professional staff of 35+ at Harmony Hall in Nashville, Tennessee. Annual budget $6.6 million, with revenues in roughly equal portions from membership, conventions, and merchandise. The combined impact of barbershop communities is estimated at nearly $30 million annually. An active donor base channels more than $1 million annually in program activities at all levels through gifts to Harmony Foundation International. Approximately 20,000 Members and Associates. 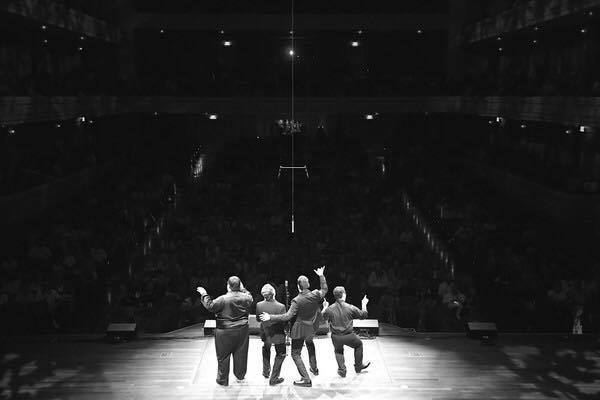 Approximately 1200 quartets registered with the Barbershop Harmony Society headquarters; an estimated 1000 more quartets are active but not officially registered. In 2018, membership policy was expanded to include women. Approximately 700 women are enrolled as members and associates. Affiliated organizations in: Australia, Finland, Germany, Great Britain, Holland, Ireland, New Zealand, The Netherlands, South Africa, Spain, Sweden. There are also barbershop singers in more than 30 countries, including Argentina, Brazil, China, Denmark, Hungary, Iceland, Japan, Saudi Arabia, Uganda, and the United Arab Emirates. Motto and theme song: “Keep The Whole World Singing"
The baritone provides in-between notes, to form consonant, pleasing chords. Education of members and the general public in music appreciation, particularly barbershop singing, by way of schools, contests, and publishing. Contests in quartet and chorus singing at local, regional, and international levels. Charitable projects on a local and national basis. 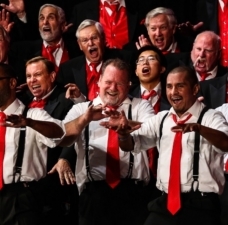 Quartets and choruses contribute more than 100,000 man-hours per year singing for more than half a million people at churches, schools, hospitals, senior centers, etc. 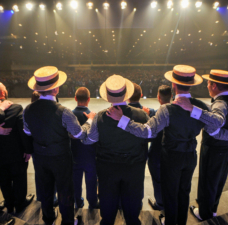 Harmony University, a week-long school held each summer, brings together more than 700 Barbershoppers from around the world with a world-class faculty of vocal coaches, arrangers, choreographers, and educators to explore all facets of the barbershop hobby. HU offers special tracks for directors, quartets, and general barbershop singing. 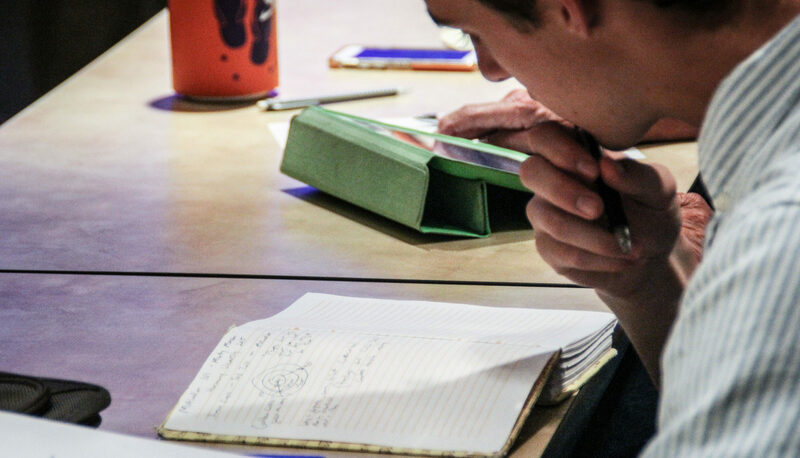 Continuing Education Units available for music educators. 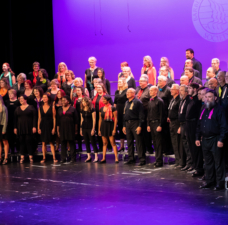 BHS Online offerings deliver free and fee-based instruction in vocal technique, arranging, directing and many other facets of barbershop performance. Many Barbershoppers are active in their communities, in parent-teacher associations, in arts advocacy groups and in education coalitions, working to preserve arts education in school curricula. 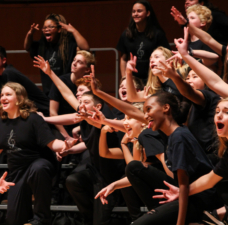 Harmony Foundation International, the Society’s official charity, funds more than $1 million annually in programming at all levels that support community singing and music education. 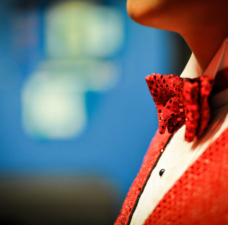 Barbershoppers donate sizeable amounts of money and time, and numerous performances to local charitable activities and vocal music education programs in their communities. First meeting of the Society: April 11, 1938 at the Roof Garden of the Tulsa Club in Tulsa, Oklahoma. Sweet Adelines International founded in Tulsa, Oklahoma, 1945; Harmony, Inc. formed in 1957.